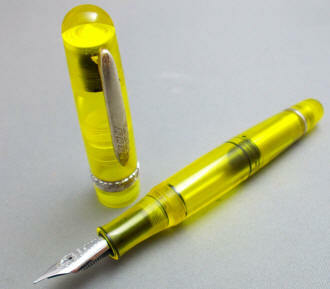 The latest addition to the group, the Yellow, has silver furniture and nib. 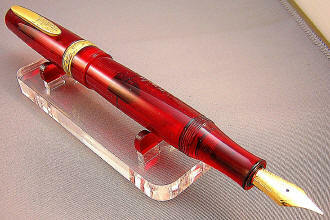 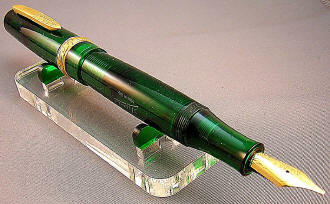 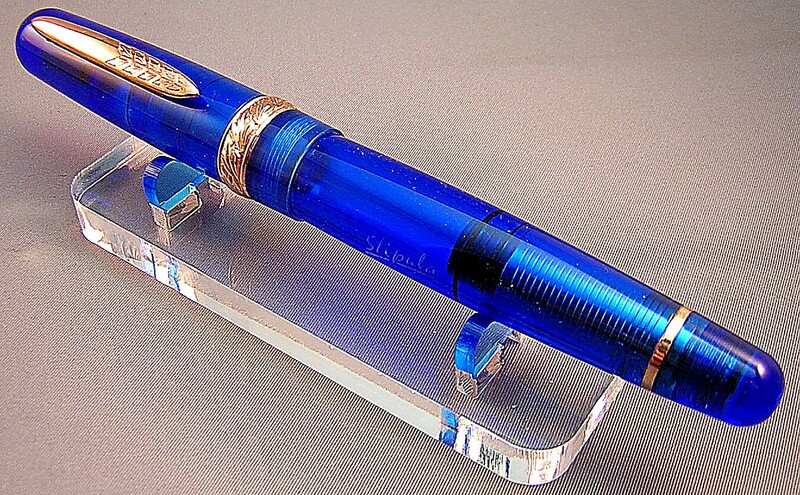 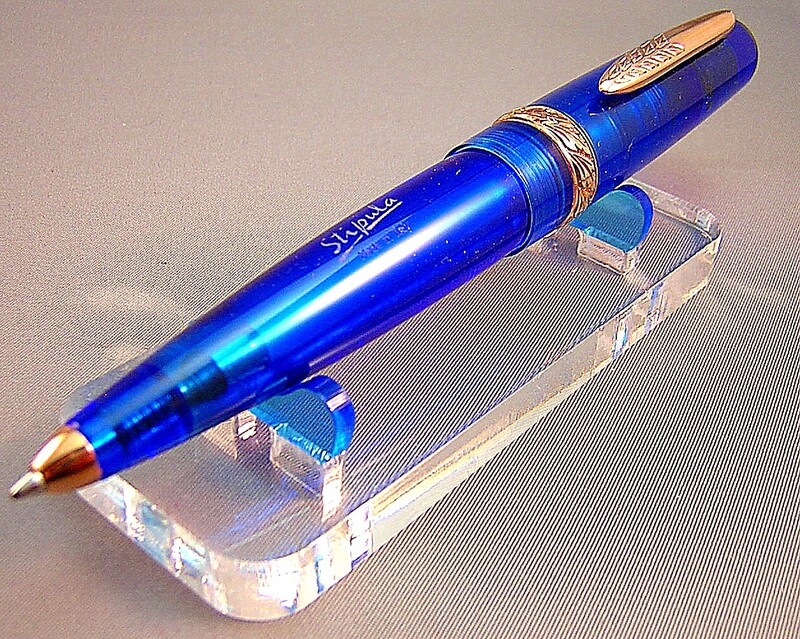 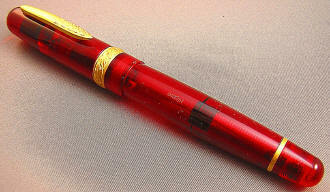 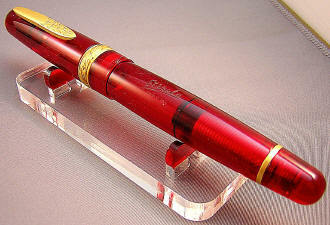 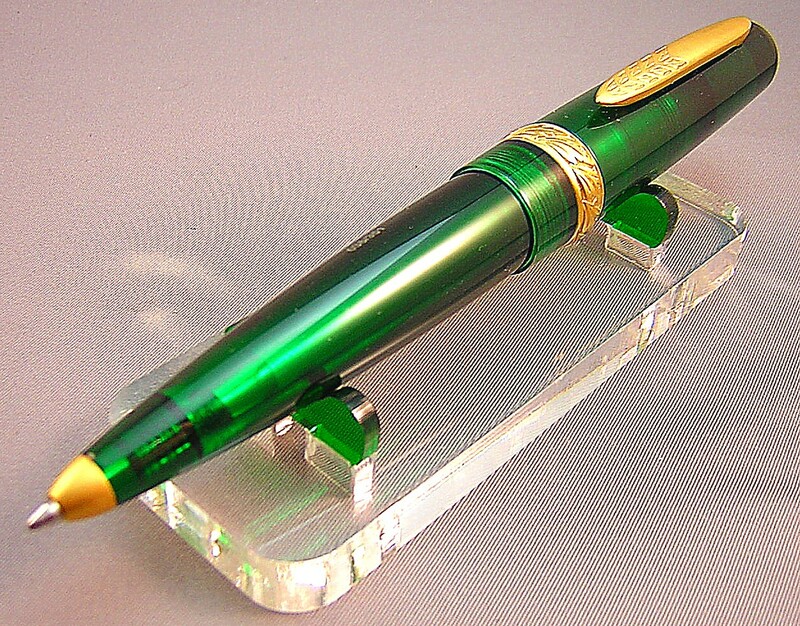 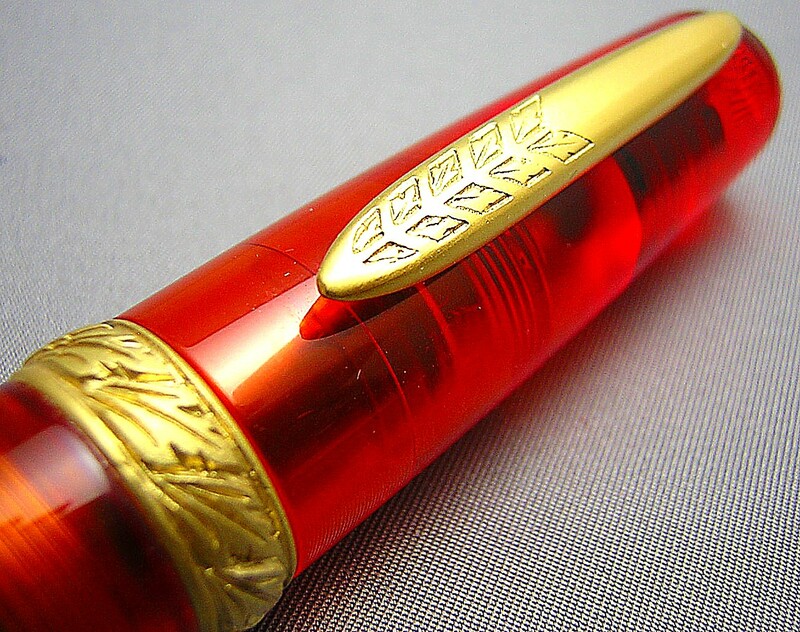 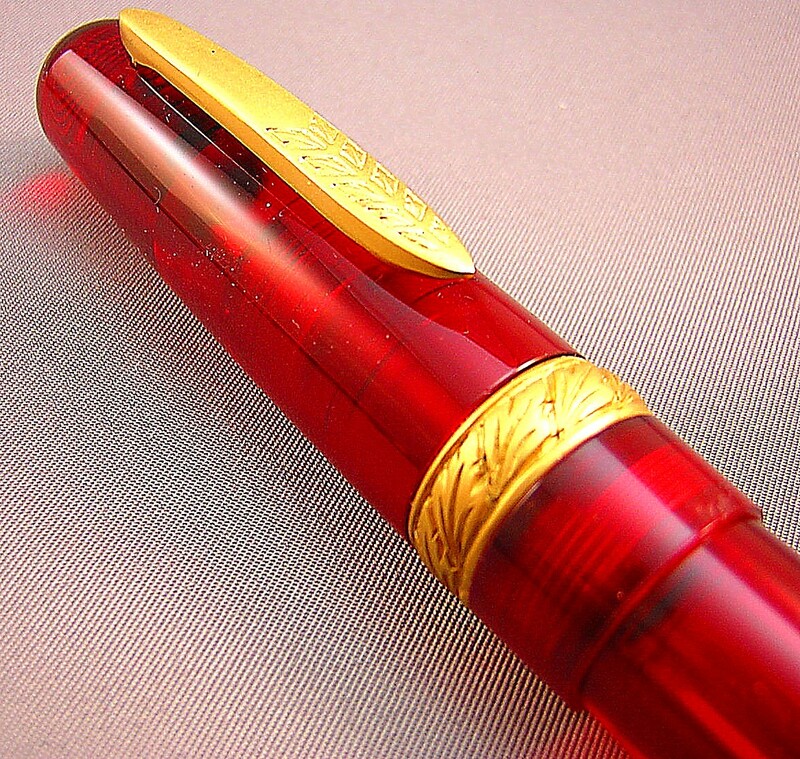 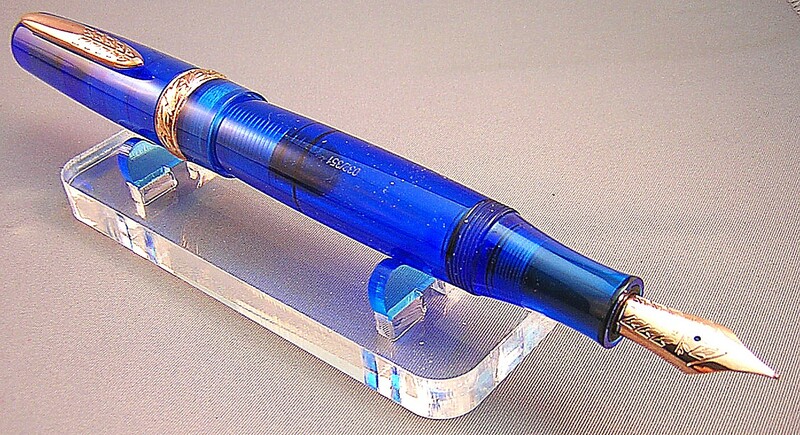 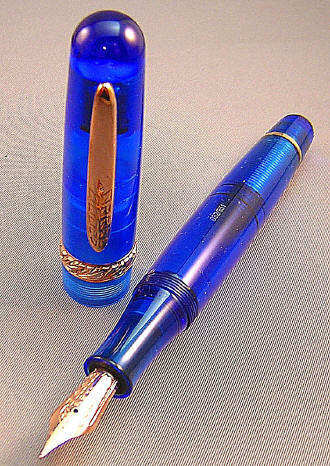 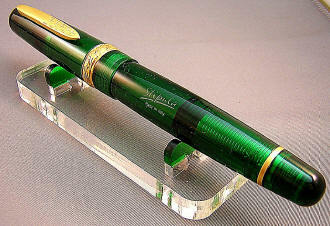 The Etruria is generally considered Stipula's flagship pen model. Now, introducing the Stipula Etruria Rainbow limited edition series pens. 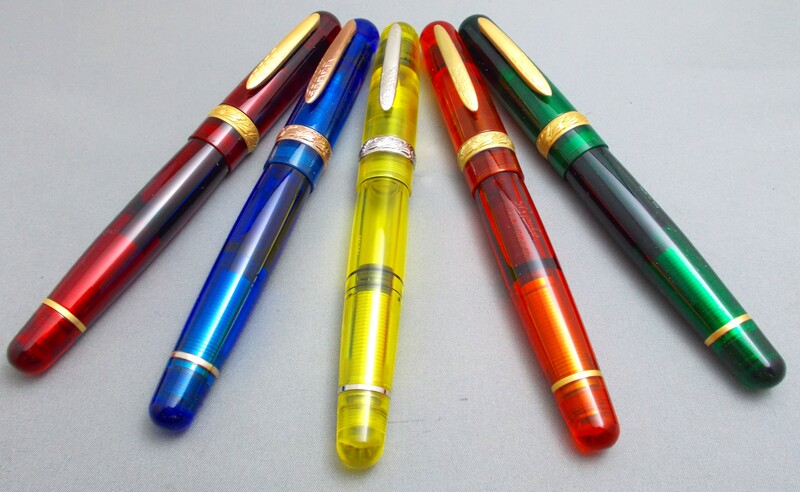 Produced from from solid rods of Italian resin, these gorgeous demonstrators are hand-turned and finished to a gleaming transparency. 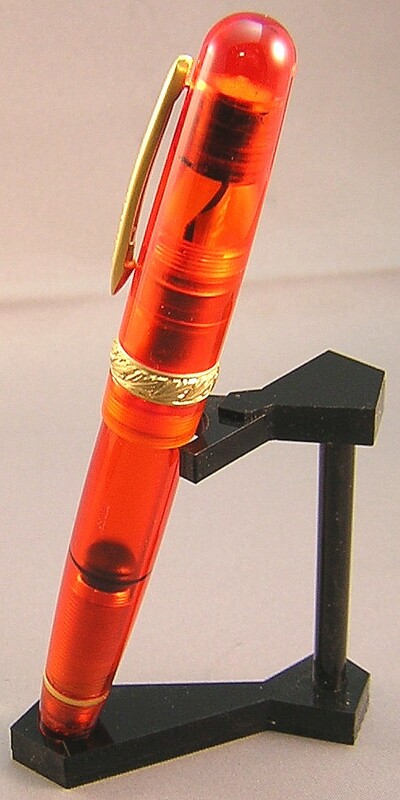 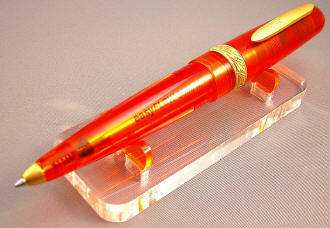 Truly over-sized pens, the fountain pens measure 5-7/8" capped, 6-3/4" posted and 5-18" with cap held aside. Despite their large size, they're extremely well-balanced and being made primarily of resin, are comfortable to write with for hours on end. 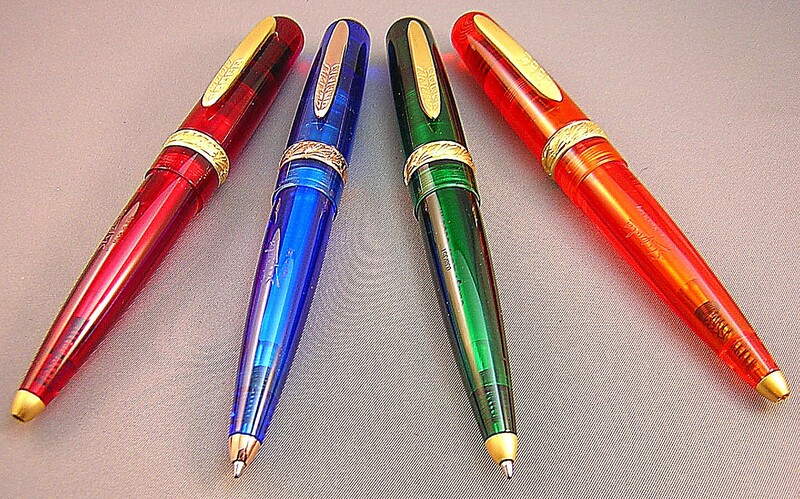 Each color is limited to an edition of 351 pens only. 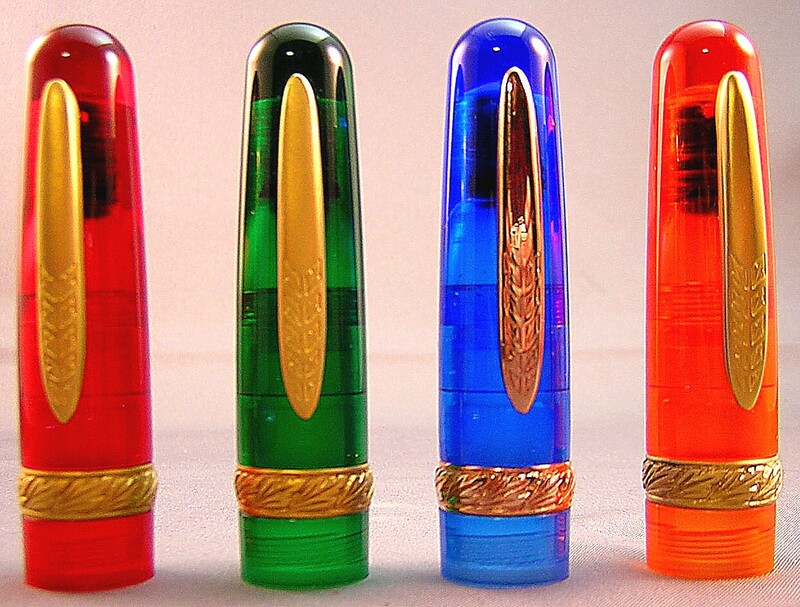 The transparent Green, Red and Orange all have matte gold trim on the clip, cap and barrel rings...while the Blue is finished with elegant rose gold. Both the clip and the cap barrel are adorned with Stipula's leaf logo. The barrel itself displays the only manufacturer marks, with 'Stipula' in script; 'Firenze' (Italian for Florence, Stipula's home city); and 'Made in Italy'. 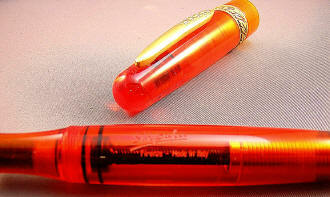 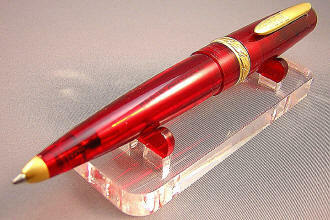 The opposite site carries the specific pen's number of the limited edition, such as '088/351'. 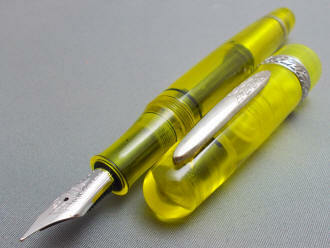 While capped, the inner workings of the pen are all visible (as a good demonstrator should be!) -- from the nib on one end to the piston on the other. Unscrewing the cap reveals the beautiful Stipula nib, either in 14K matte gold, 14K rose gold (for the Blue Rainbow) or the titanium T-Flex (which allows the user to vary line width by adjusting writing pressure). 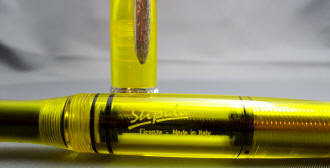 The standard gold nibs are available in F, M, B or 1.1mm italic/stub. 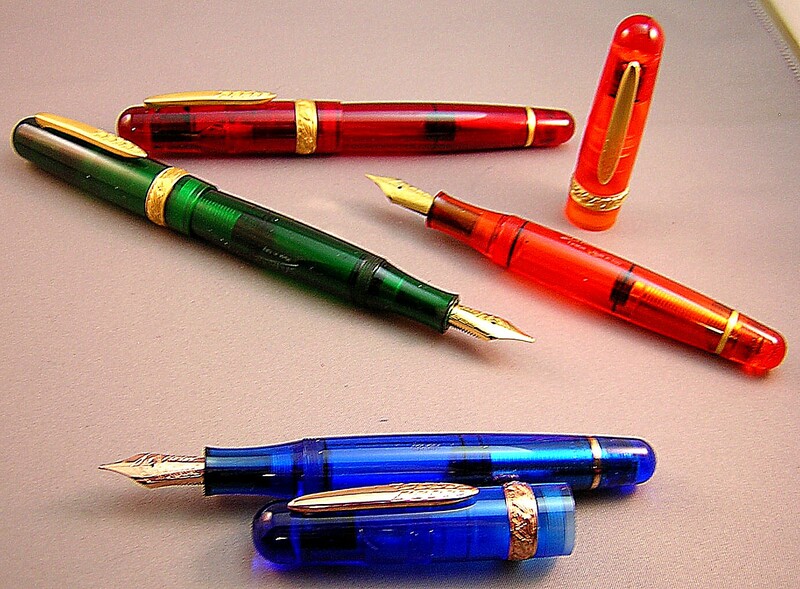 Read more about available nibs here. 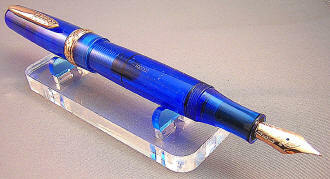 The smooth-action piston works by turning the barrel-end knob clockwise to expel air/ink as the piston descends through the barrel, and by counter-clockwise turning to fill the reservoir with ink. 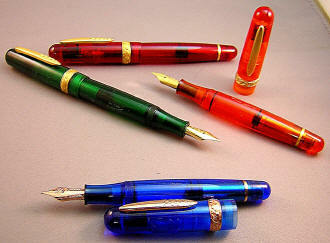 The fun comes in when choosing the ink color to use for each color pen. 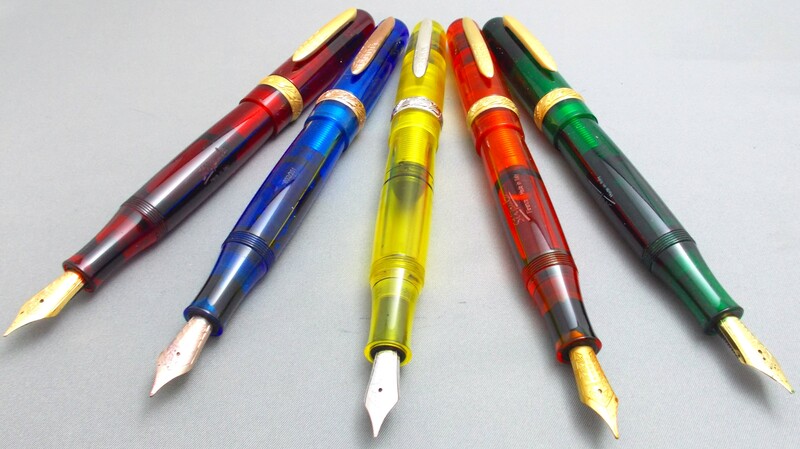 Should you try and duplicate the barrel color or use a contrasting ink? I seem to have taken an inordinate number of photos of this particular pen. Can you blame me? 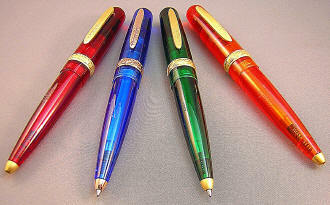 Like the fountain pen versions, each color of the ballpoint is limited to an edition of 351 pens only. 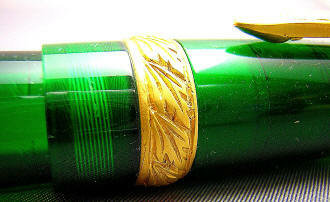 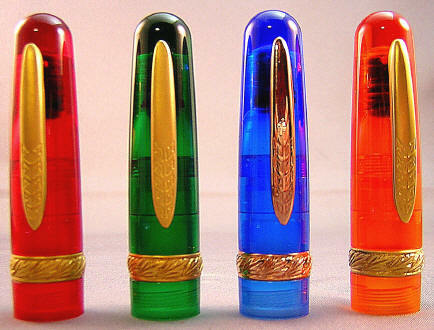 Also like the fountain pens, the transparent Green, Red and Orange all have matte gold trim on the clip, cap and barrel rings...while the Blue is finished with elegant rose gold. The pen measures 5-1/2" in length and its twist-action mechanism extends and retracts the Parker format ballpoint refill. 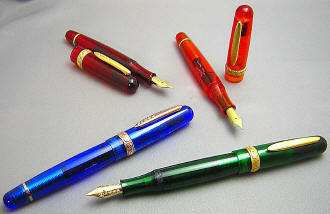 Because it uses the Parker format, capless rollerball or gel refills can also be used.